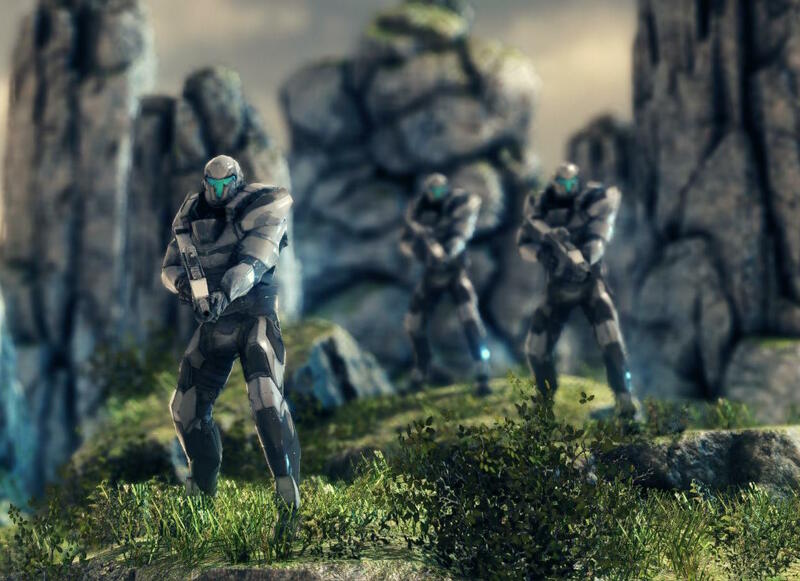 Taking place after the events of the game’s predecessor, New World, Squad 22 sees a unit, creatively titled “Squad 22,” deployed to the far off world of Meridian in order to find out what happened to the research team that preceded them. From there, you’ll be following several individuals’ plight as they try to both perform their duties and run a rebellion while stranded on an alien world. It’s not unusual in this day and age to see multiplayer-centric Real Time Strategies (RTS) that use the single player campaign as little more than an introduction to the features that can be used against other players. Currently in Early Access, Meridian: Squad 22 is a fully single player RTS and treats itself as much. Allowing the player to choose how they can approach both the current and future stages by the choices that they deem important to the evolution of their forces, there’s no worrying over which unit may or may not perform as expected compared to another unit from another race across some ridiculous metagame that you have to deal with for fear of being trounced each and every time. Crashing onto a hostile alien world after being thoroughly shot down from the skies, Mark Quinn will need to lead his forces to protect what is left of his ship while gaining the materials in order to repair it. 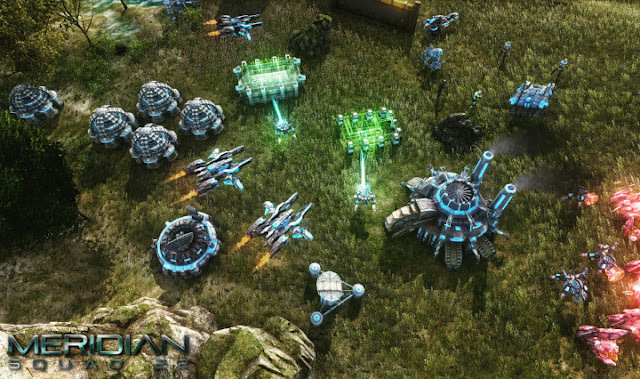 Being an RTS there are plenty genre staples such as resource gathering and the slow build up of forces before ordering them into action. 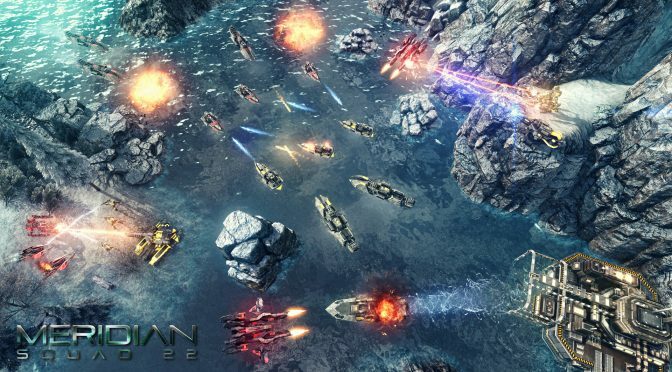 But Meridian: Squad 22 is not your typical RTS experience. Using decent pauses within the ship’s interior in order to advance the plot by having Quinn talk with the others in his force, there’s more to the story than one set of combat scenarios after another. The developer is clearly genuine in its wish to offer a proper single player experience. For everything that is done right in Meridian: Squad 22, there are a few issues that really do need to be fixed before the game enjoys a full release. When a stage has been completed and a notification arises to let you know that you can stick around in order to gather remaining resources, you can indeed hang around, but that notification stays in the top middle of the screen, and really gets in the way. There’s no way to currently minimize that window, or even just slide it over. Coming to the gameplay there can be some issues with how your forces move around or decide which targets to aim at. Firstly a bit on the realism side is that a unit cannot move through another unit’s space. This means that if you want your marine to walk past the tank, one of them is going to have to move. It can be frustrating when you’ve got a big pile of units all moving on the one location but it is something that can be mitigated. What is unrealistic in the same vein is that said marine can shove said tank out of the way by moving into it. This can cause a blocking of narrow passageways which lead to its own set of issues in trying to get everyone else out of the way to get a specific unit through. Finally when it comes to targeting, your forces may not always listen to orders properly, and decide to aim at whatever they want to, causing your forces to take more damage than they actually needed to. As this is still in Early Access there is still time to fine tune these issues before a full launch. They aren’t the worst things that could happen but they do put a few unwanted kinks into the experience that we just don’t expect to see in our RTSes in 2016. Having just launched into its Early Access phase, Meridian: Squad 22 has plenty of time in order to shape itself. With a multitude of stages, units, upgrade paths yet to come and discover, this will be an RTS worth keeping an eye on in the months ahead.